This is a sponsored post written by me on behalf of Knorr®. As always, all opinions are my own. 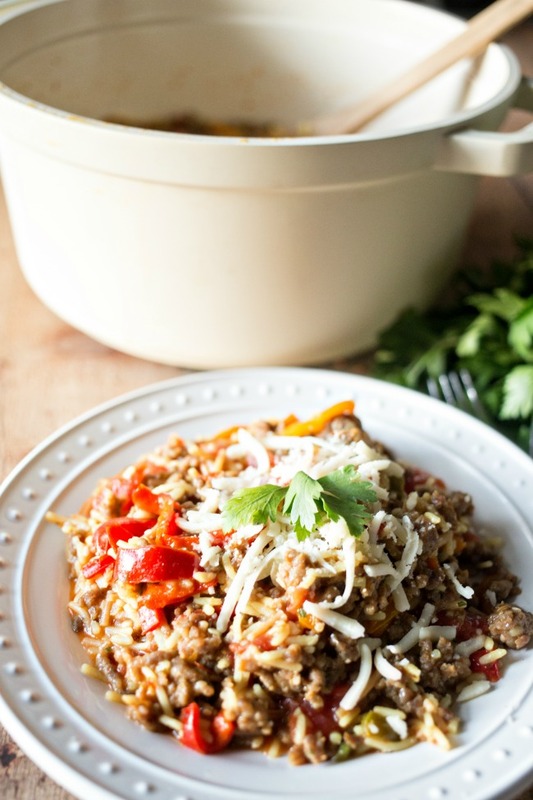 This One Pot Italian Sausage and Peppers meal with Knorr® Rice Sides is easy and packed full of flavor. Perfect for weeknight dinners! Other simple and flavorful Knorr® recipes can be found on AllRecipes.com. Hi friends! Now that we’re back into the swing of the school year, easy and delicious weeknight dinners are a top priority! 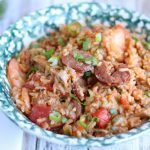 I love to make dinner for my boys, but time is always of the essence so one-pot meals have been my go to, both for their easy preparation and clean up! And my boys are picky about taste; they always want FULL flavor. Thankfully Knorr® Rice Sides™ are the perfect solution to creating time-saving, one-pot dinner solutions and are the foundation for simple, flavorful meals the whole family will enjoy. 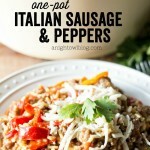 And this One Pot Italian Sausage and Peppers meal is no exception. My boys love meals packed with flavor! First, we cooked up our favorite peppers and onions in a little olive oil and garlic and layered in delicious ground Italian sausage. You can easily substitute for your favorite lean protein, but the Italian sausage definitely packs a flavor punch! Once the peppers, onions and sausage are cooked through I set them aside so we could cook up our family favorite Knorr® Rice Sides™ – Chicken flavored Rice! Once the rice was finished, we simply added Italian style diced tomatoes and added back in the sausage and peppers. 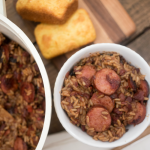 Each ingredient that goes into this one-pot creation just adds to the flavor without adding complicated steps. In large Dutch oven heat 1 tbsp. olive oil and 1 tsp. minced garlic on medium high heat. Add sliced bell peppers and cook until they begin to soften. Add Italian sausage to the pot and cook through. Once cooked through, transfer sausage and peppers to a bowl (drain oil if preferred). Return Dutch oven to stove and bring 2 cups water and package of Knorr® Rice Sides™ - Chicken flavored Rice to a boil; reduce heat, cover and simmer for 7 minutes. 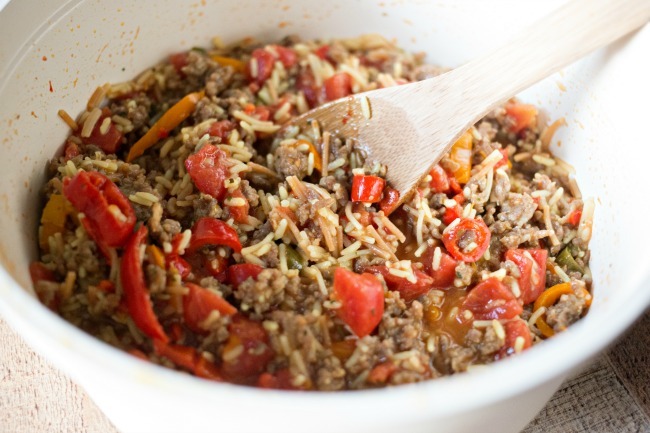 Once rice is finished, add can of Italian style diced tomatoes and bowl of sausage and peppers. Cook until heated through; serve topped with Parmesan-Romano grated cheese and Italian flat parsley. Enjoy! Once your one-pot meal is complete, plate it up and top with a little Parmesan-Romano grated cheese and Italian flat parsley. And my boys gobbled it up! They always thank me for making dinner, but I know it’s good when 1) my husband asks for seconds (which he did) and 2) when they thank me for making such a GOOD dinner. 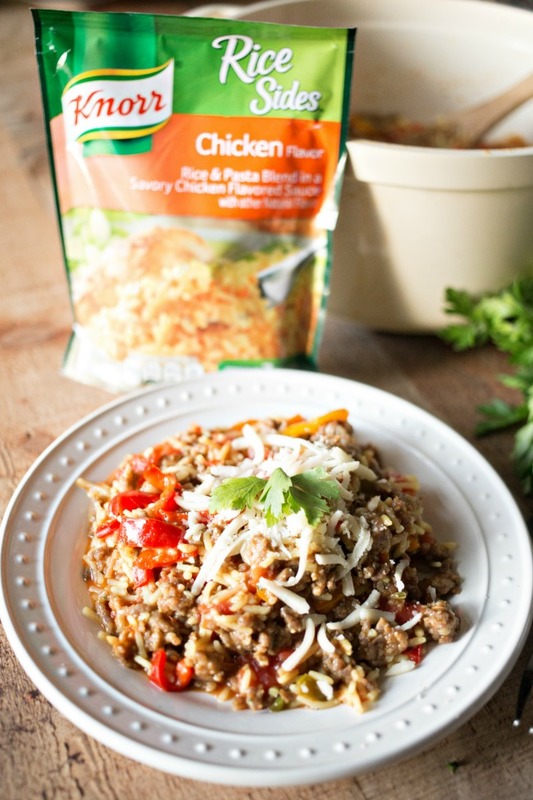 So if you’re on the look out for delicious and easy dinners for your family, give our One Pot Italian Sausage and Peppers meal with Knorr® Rice Sides™ a try! 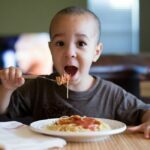 What are your favorite quick and easy meals to make for your family? 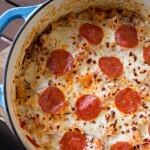 Be sure to stop by the Knorr® Page on AllRecipes.com for more great family friendly recipes. 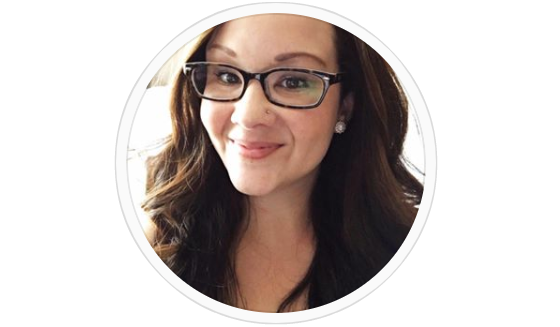 Also feel free to chat with Knorr® on Facebook, Pinterest and Instagram using #Knorr. This looks amazing! I need this in my life.